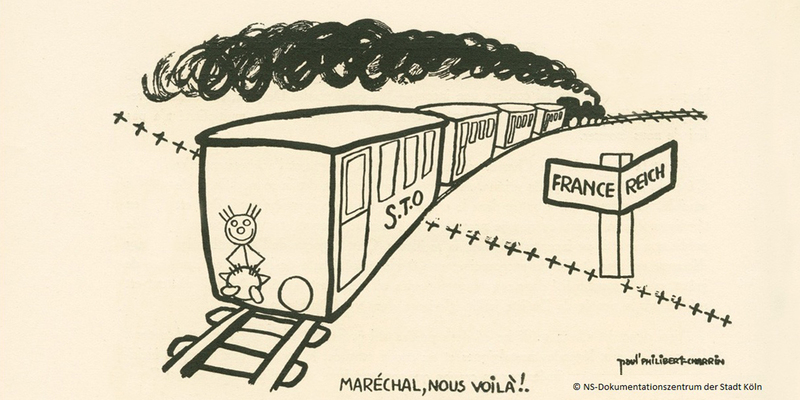 Even before his deportation to Germany, the French artist Philibert Charrin (1920-2007) dealt with National Socialism in his caricatures: Hitler as a warlord, Goebbels as a loudmouth. In April 1943, the French Vichy government forcibly sent him to the German Reich to work as a forced laborer near Grazin Austria. 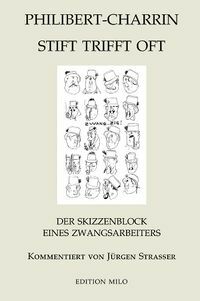 With the help of his drawings, Charrin dealt humorously with the work, the Austrians and the other forced labourers - always accompanied by the stick figure "Fiﬁ", which can be found on almost all drawings. Many of his caricatures mock the alleged "master race" or refer to resistance and sabotage by the forced laborers. One part of the drawings depicts their everyday life and circumstances. These statements are mostly encoded by skilful depiction or witty language. What all the drawings have in common is the humour with which Charrin depicts those times despite the harsh living conditions. 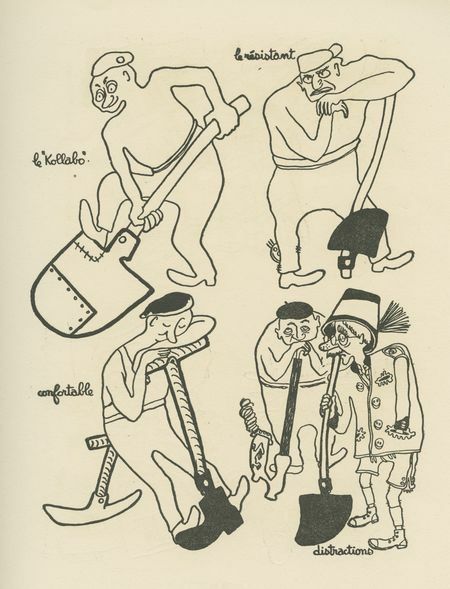 In the immediate post-war period, the caricatures were exhibited in France, but received little attention. They then fell into oblivion. It was not until 2016 that they were shown again to a wider public in Cologne and are now coming to Berlin as a travelling exhibition of the NS-Documentation Center of the City of Cologne. The exhibition is trilingual (German, French, English). It consists of 80 caricatures, drawings and posters, supplemented by original documents from the estate of Philibert Charrin. 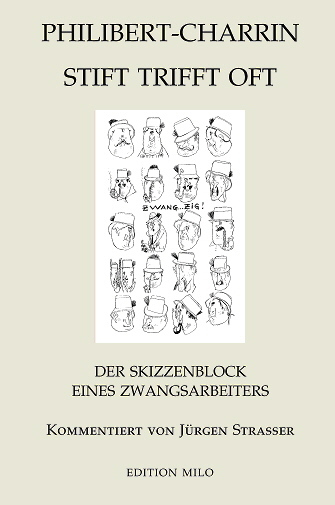 The book shows and comments on the caricatures of Philibert Charrin from the NS period. to the exhibition "Philibert and Fifi."